The College currently offers three level programmes: Foundation programmes of English classes and Basic Monastic Training Course for Female Laity, Bachelor Degree programmes and Master Degree programmes. With the exception of the English language course, all other subjects are taught either in English or Mandarin. 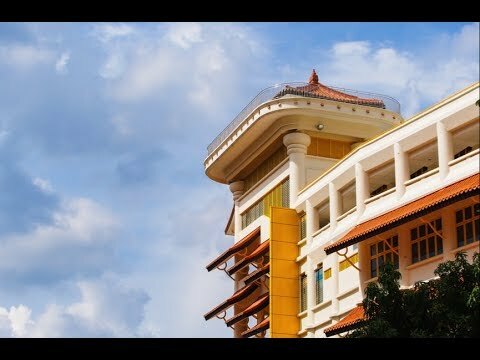 The Buddhist College of Singapore (BCS), established by Venerable Sik Kwang Sheng in 2005, is located within the premises of the majestic and renowned Kong Meng San Phor Kark See Monastery. It currently offers 3 levels of programmes : Bachelor and Master degree in Buddhist Studies conducted in English and Mandarin and basic monastic training course for female laity. From Class 2014 onwards, all degree programmes will be conducted in collaboration with the Mahachulalongkornrajavidyalaya University of Thailand. Students who have successfully completed and met the requirements for graduation will be awarded the corresponding degrees from the University and a graduation certificate by the College.